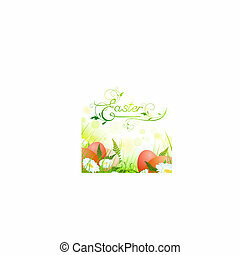 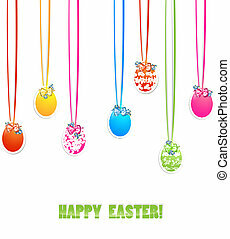 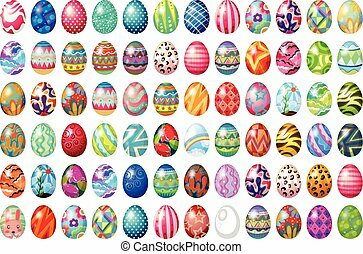 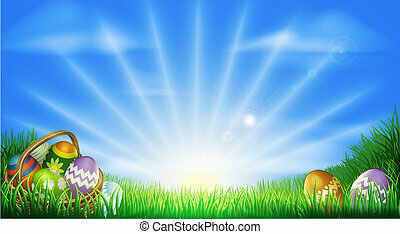 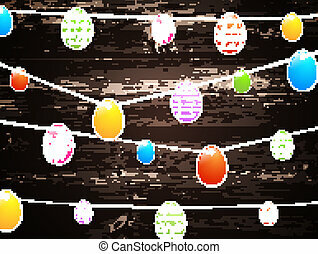 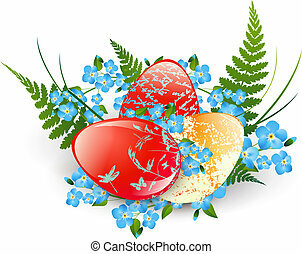 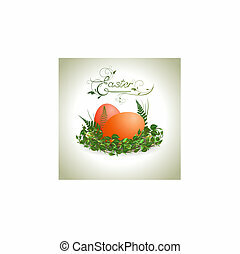 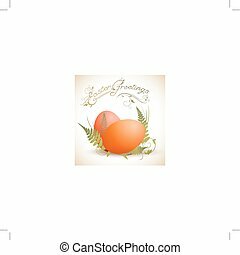 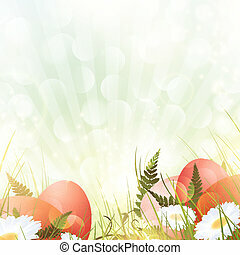 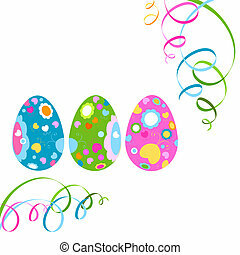 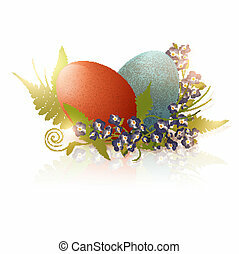 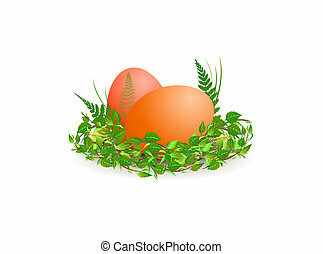 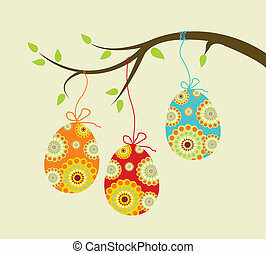 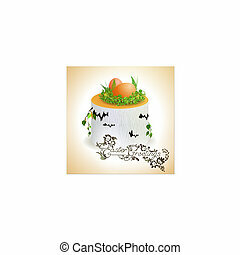 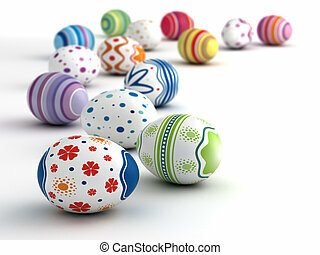 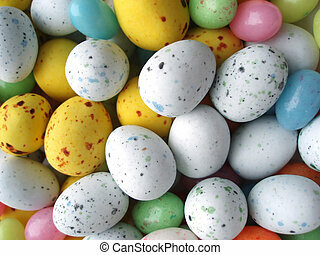 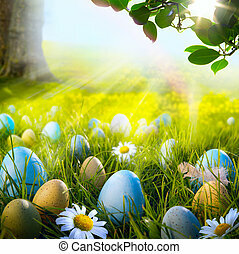 Multicolored floral decorated easter eggs in grass over white. 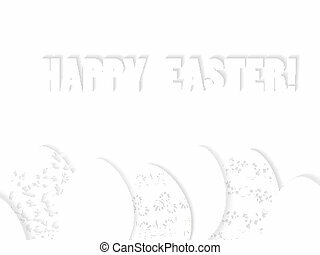 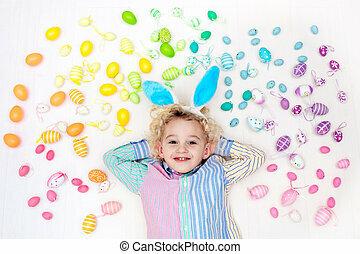 Funny little boy with bunny ears having fun on Easter egg hunt. 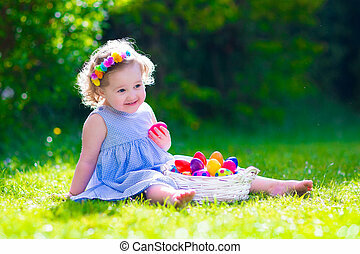 Child playing with colorful Easter eggs. 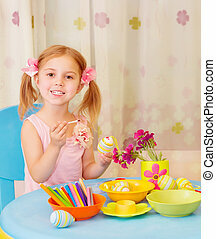 Kids play with pastel color rainbow eggs. 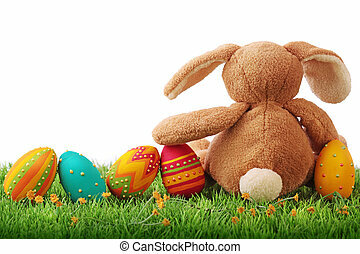 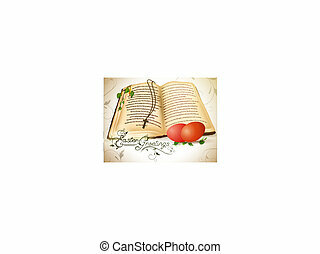 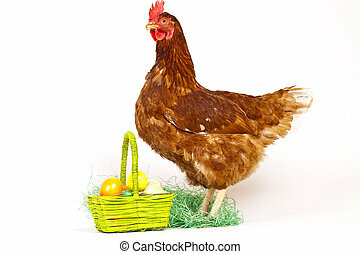 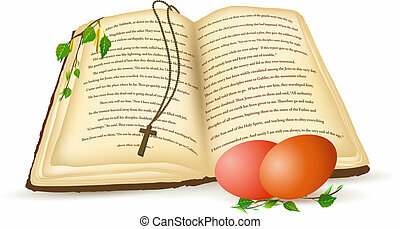 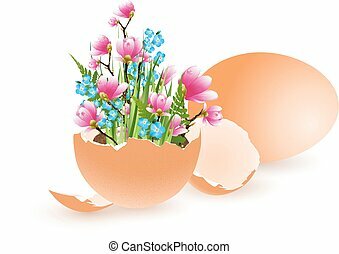 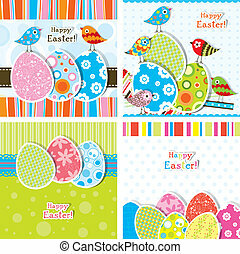 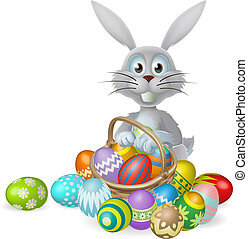 Spring and Easter art and crafts for children.